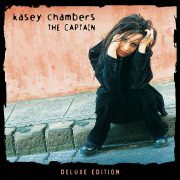 Kasey Chambers has today announced the release of “The Captain Deluxe Edition” on May 17, 2019, exactly 20 years to the day since her ground breaking debut album “The Captain” was released, ensuring her place amongst Australia’s most revered songwriters and recording artists. “The Captain Deluxe Edition” includes memorabilia and an unreleased track from archive, compiled by Kasey to share in this unique new package. This recently unearthed song ‘Hey Girl’, written around the time of the album, is available to fans from today – listen below. “The Captain Deluxe Edition” package includes the 12 tracks from the original album plus ‘Hey Girl’ (unearthed track), 7 tracks from the bonus edition (released in 2000), and 13 previously unreleased track-by-track interview pieces from 1999. The accompanying 32 page booklet has never before seen pictures of Kasey’s childhood, promotional and live photos, and an image of the original handwritten lyrics for the title track “The Captain” – pre-order HERE. Accompanying the release of the Deluxe Edition is “The Captain” original album on vinyl for the very first time. Fans should get in quick to secure their copy – pre-order HERE. Discussing “The Captain” back in 1999, Kasey said “I’d like to convert some people with this record. I think it has the potential to prove that country music has a lot more depth and soul…” How right she was! This pivotal record, the cornerstone of her outstanding career, remains one of the most extraordinary and lauded debuts by an Australian artist in any genre. The critics and the public saw “The Captain” for what it was – a blast of fresh air in the local country scene. Songs such as the title track, ‘Cry Like A Baby’ and ‘These Pines’ boasted a maturity beyond her years and a wealth of Americana-styled musical influences, yet the album had Australia and family at its core, ingredients that have been a staple of Kasey’s song-writing ever since. Off the back of “The Captain”, Kasey picked up her first solo ARIA Awards, for Best Country Album and Best Female Artist. The album would go Triple Platinum in Australia, reach the Top 50 of the US Billboard Country Albums and launch Kasey’s music to the world. Kasey followed the release of “The Captain” with 11 more albums, each one cementing her place on the global country artist stage and garnering her a cabinet full of awards. In 2018 she was the youngest female ever to be inducted into the ARIA Hall of Fame, reinforcing her place as one of Australia’s most respected, accomplished and captivating performers. 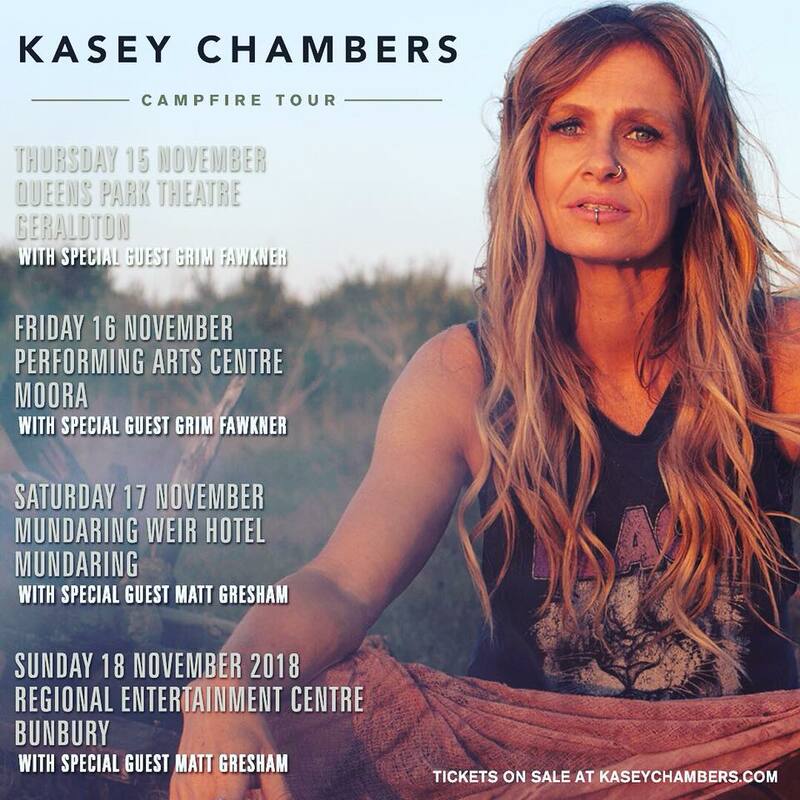 Following an extensive 40 date national tour in support of her album Campfire, Australian country music icon Kasey Chambers announces 4 shows in Western Australia. The Campfire tour is a unique musical journey through the stories of places, people, cultures and sounds that have inspired one of Australia’s most revered performers. 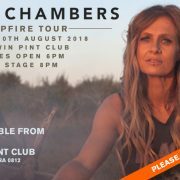 Playing songs from her new album Campfire and all her much-loved songs from way back to The Captain and Barricades and Brickwalls days up until now, join Kasey Chambers for a special evening of music and stories with her Fireside Disciples. 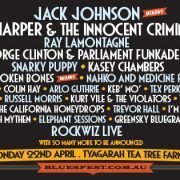 Kasey Chambers joins the 2019 Byron Bay Bluesfest line up taking place at Tyagarah Tea Tree Farm Byron Bay from Thursday 18th April to Monday 22nd April. Next year will mark 20 years since the release of Kasey Chambers’ debut album, The Captain, and yet despite this she is still incredibly humble and self deprecating when speaking about her journey. “To be honest when I first started playing music, even before The Captain, I resigned myself to the fact I would never be successful in music because I realised my style of music wasn’t incredibly popular and I’ve got a pretty annoying voice,” Kasey said with a hearty laugh. By understanding that her journey through music was likely not going to be an easy one Chambers was able to simply focus on creating the music which “felt right” in the moment rather than looking for the next best career move or opportunity. This could not have been anymore evident than with the release of her latest record, Campfire, which is a stark contrast to her previous release Dragonfly. Dragonfly was a very produced, pop infused record which saw Kasey working with the likes of Paul Kelly, Keith Urban and Ed Sheeran. In order to achieve that goal and Chambers chose to work only with very close friends and family. Working alongside Kasey on Campfire were friend and bandmate Brandon Dodd, longtime family friend Alan Pigram, and her father Bill Chambers. As Kasey told City Hub simply to have the opportunity “go so far back to my roots” was a real privilege and something she felt incredibly “lucky” to be able to do. This sense of gratitude also carries through to the response she has seen now whilst touring the record around Australia. 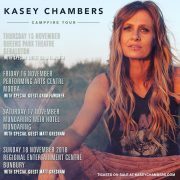 https://kaseychambers.com/wp/wp-content/uploads/2018/06/Kasey-Chambers-476x317.jpg 317 476 kaseychambers https://kaseychambers.com/wp/wp-content/uploads/2014/06/kc-logotype1.png kaseychambers2018-06-14 10:31:322018-10-18 10:27:0620 Years since the release of Kasey Chambers' debut album "The Captain"
Kasey Chambers “Campfire” Pre-sale TODAY! 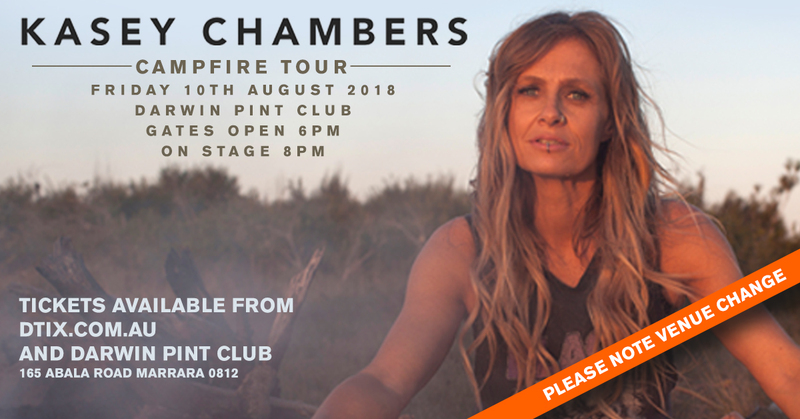 Join Kasey Chambers by the “Campfire” for a musical journey through the stories of places, people, cultures, and sounds that have inspired one of Australia’s most revered performers. Be part of this intimate acoustic experience enjoying songs new and old that have shaped Kasey’s rich and unique life travelling through the vast lands of Australia, America, and Africa. Playing songs from her new album “Campfire” (Out April 27) and all her much-loved songs from way back to The Captain and Barricades and Brickwalls days up until now. Don’t miss a very special evening of music and stories with Kasey and the Fireside Disciples. “Everyone sing ‘round the campfire… where the song of the Curlew awaits…. 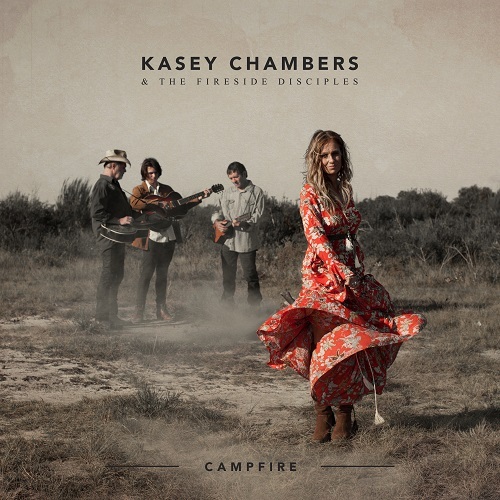 https://kaseychambers.com/wp/wp-content/uploads/2018/03/kc-campfire-banner2-1800x700.jpg 700 1800 kaseychambers https://kaseychambers.com/wp/wp-content/uploads/2014/06/kc-logotype1.png kaseychambers2018-03-26 09:07:012018-03-26 09:21:28Kasey Chambers "Campfire" Pre-sale TODAY! 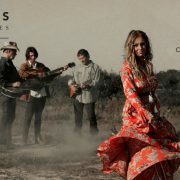 Australian country icon Kasey Chambers is pleased to announce the upcoming release of her 12th studio album, Campfire, which will be available on April 27 and is available for pre-order here. Joining Kasey on Campfire is her band The Fireside Disciples, consisting of three of her favourite musicians – Brandon Dodd, who has toured the world with Kasey over the last three years; Alan Pigram, a long-time family friend, fellow musician (from the renowned band The Pigram Brothers) and Indigenous elder from Broome WA; and of course her Dad, Bill Chambers, who has been the biggest musical influence of her whole life. Kasey explained her special inspiration for the album – “I grew up in the remote outback of Australia living a unique lifestyle isolated from civilisation. The campfire was the heart of our existence: for survival, creativity, inspiration. We hunted all our own food and then cooked it on the campfire. My brother and I did all our schooling via correspondence around the campfire. We used the campfire for warmth and light. We gathered around the campfire at night to play songs together as a family. Our connection to music and the land has developed through and around the campfire since I was born, so it has always stayed with me as a special part of my life. The first taste of what fans can expect from Campfire comes from the aptly titled The Campfire Song, with the official video released and now streaming here. Following the release of Campfire, Chambers will embark on a massive Australian tour consisting of almost 40 dates throughout May, June, July and August. The full list of tour dates and ticketing information is below. Tickets available for pre-sale from Monday 26th March. General sale begins Thursday 29th March. 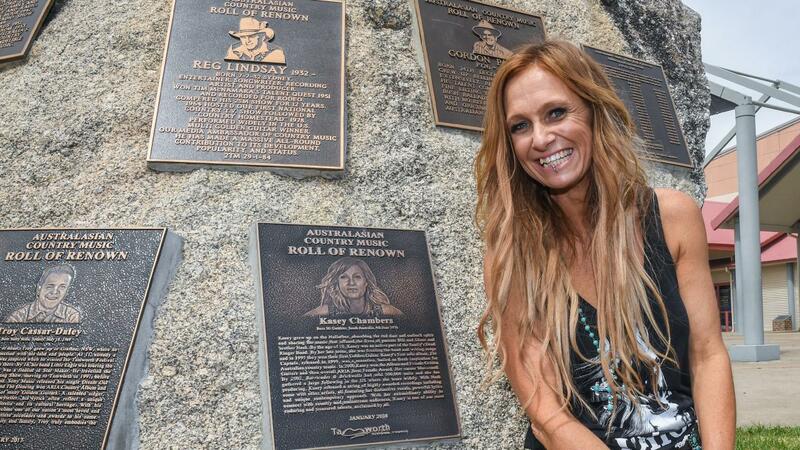 Kasey Chambers becomes youngest inductee to the Australasian Country Music Roll of Renown! A massive congratulations to Kasey Chambers who has become the youngest inductee to the Australasian Country Music Roll of Renown. The award was presented to Chambers at the Toyota Golden Guitar Awards on Saturday evening, and the plaque was unveiled on the rock outside the Tamworth Regional Entertainment and Conference Centre on Sunday morning. Over her career, Chambers has released eight solo albums, won 22 Golden Guitars and had a profound effect on country music, especially the rise of alt-country. In accepting the award, Kasey paid a special tribute to her parents Bill and Diane and to brother Nash, her long time record producer. “I definitely wouldn’t have got to first base without my family and their involvement,” Chambers said. 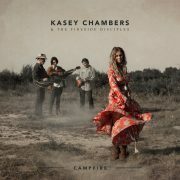 https://kaseychambers.com/wp/wp-content/uploads/2018/01/kaseyroll.jpg 720 1280 kaseychambers https://kaseychambers.com/wp/wp-content/uploads/2014/06/kc-logotype1.png kaseychambers2018-01-31 10:14:112018-03-16 09:41:33Kasey Chambers becomes youngest inductee to the Australasian Country Music Roll of Renown! 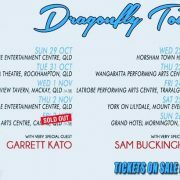 Kaseys Dragonfly Tour SELLING FAST! Buy tickets now! Cairns already SOLD OUT! For easy access to ticket links and information on the shows click on the Photo or CLICK HERE! 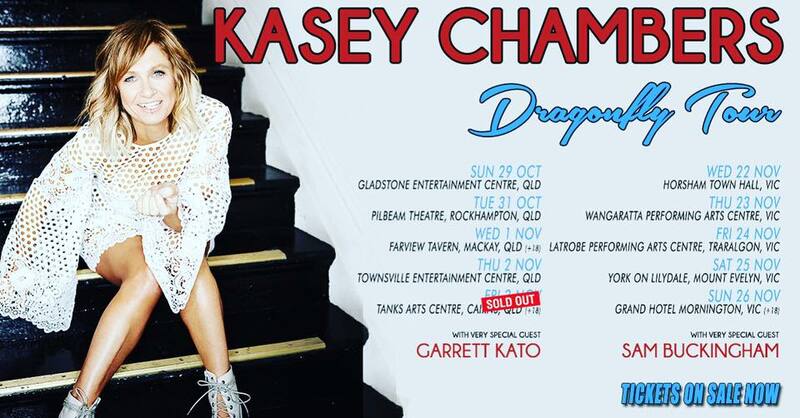 https://kaseychambers.com/wp/wp-content/uploads/2017/10/12.10-Dragonfly-Tour-Dates-e1507766489216.jpg 410 537 kaseychambers https://kaseychambers.com/wp/wp-content/uploads/2014/06/kc-logotype1.png kaseychambers2017-10-12 10:59:032017-10-12 11:03:39Kaseys Dragonfly Tour SELLING FAST! Buy tickets now! Cairns already SOLD OUT! 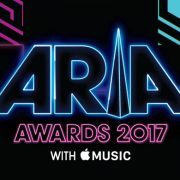 Kasey Nominated for Best Country Album at the 2017 ARIAS! Coming off the back of debuting at No# 1 this year on the Aria charts Kasey Chambers, Dragonfly has been nominated for this years ARIAS Best Country Album. https://kaseychambers.com/wp/wp-content/uploads/2017/10/ARIA-2017-.jpg 390 681 kaseychambers https://kaseychambers.com/wp/wp-content/uploads/2014/06/kc-logotype1.png kaseychambers2017-10-12 10:26:292017-10-12 10:36:21Kasey Nominated for Best Country Album at the 2017 ARIAS!